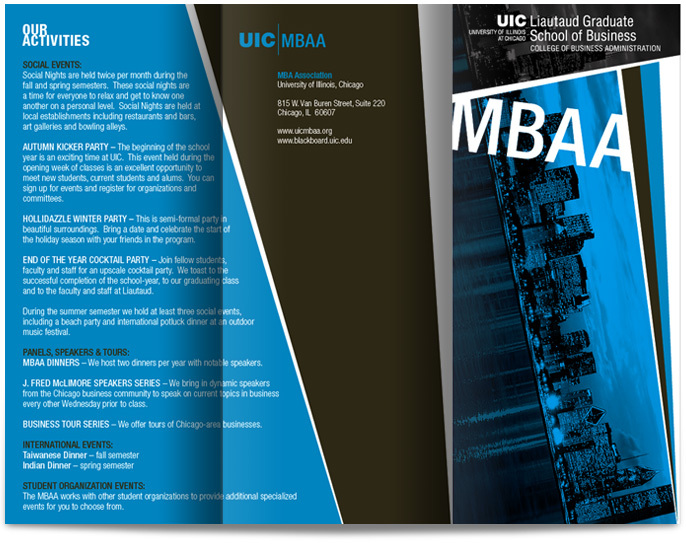 The UIC MBA Association asked for our help in developing marketing material for a guest speakers series at UIC. 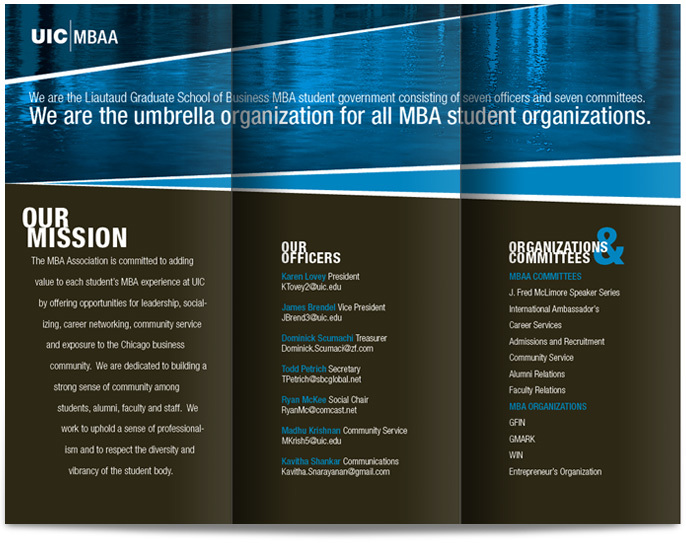 The project involved creation of a logo, posters, and a brochure. Create specifically for a younger, serious, business-minded crowd. Things were wide open for us to design what we wanted but we didn't have much to work with except a standard image of the Chicago skyline and a small budget. Bold angles and strong color contrasts to accentuate the beauty of the city and create visual interest in the already poster-and-brochure-saturated college campus. The brochures had to catch the attention of the serious, business-minded crowd on the college campus. 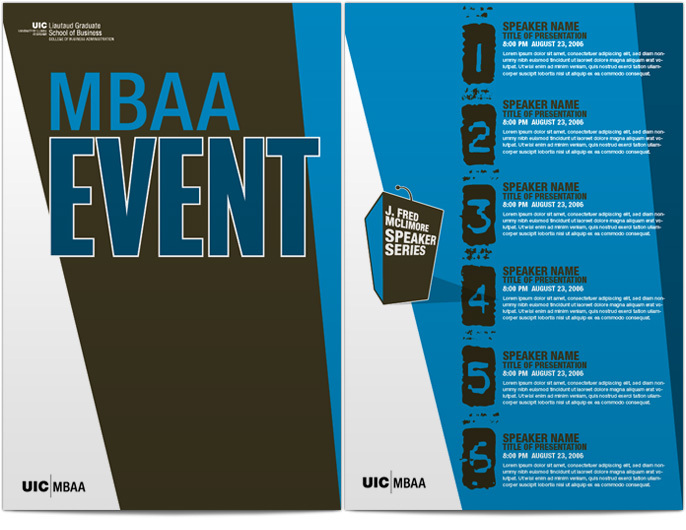 Two posters were printed to inform the students of the upcoming speaking events. We provided UIC with the poster artwork in a form which they could update and send to press once all of the speakers were locked in. Concepts for the J. Fred Mclimore logo.